Toronto Airport Limos is a fully integrated limousine service in Toronto which currently provides Toronto Airport Limo Service to the entire GTA and southern Ontario. 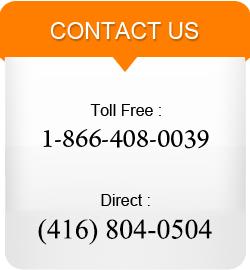 We offer the best in class limo service in Toronto with our very professional, reliable and courteous staff. Over the years, we have been catering to our business clients offering Toronto Airport Transportation including Toronto Airport Limo transfers and Toronto Airport Taxi service. We are very well aware with the procedures at Toronto Pearson Airport and are able to guide our clients with smooth transition at the airport. Book your Toronto Airport Limo with us to ensure a safe and reliable service. As a leader in providing Toronto Airport Limo service and ground transportation throughout Toronto, Toronto Airport Limos is dedicated to providing you with safe, professional and affordable limousine service in Toronto. For our corporate clients, our goal is to relieve the stress that is often associated with travel by ensuring that you reach your destination with comfort, in style, and on time. Our professionally trained chauffeurs are there to assist you with all of your business travel needs. Toronto Airport Limos offers worry free airport and hotel transportation to the entire Greater Toronto area, as well as the surrounding areas.